Giorgio Armani has this week launched his first hotel, which occupies eight floors of the world’s tallest building, the Burj Khalifa in Dubai. The 160-room hotel features eight restaurants, a spa and three retail outlets. The designer personally oversaw every detail of the hotel, from the bed linen to the furniture to the Armani Privé toiletries in the bathroom. In fact, Armani has dedicated several hours a week for the last five years to the hotel project. He followed the curves of the building’s existing architectural shell in the rooms’ interior design. There are no straight walls in the outer suites. The result, he said, is a hotel that instead of having any one big open space, is full of small intimate ones. “This is a place where you have to find your way. It’s an adventure,” he said. Armani said the hotel is the realization of a dream to open his entire lifestyle philosophy for the world to experience. Even the hotel’s service is based on Italian-style hospitality. There is no traditional reception area. Each guest is assigned a lifestyle manager who serves as a host from the moment they make a reservation to the time they check out, sometimes even personally meeting guests at the airport. The lifestyle manager is there to understand their interests and desires and customize the stay to the guests’ needs. This is the first in a planned collection of hotels, resorts and residences to be unveiled in key cities around the world by the Giorgio Armani SpA – Emaar Properties partnership. Armani’s hotel in Milan is due to open early next year, followed by the first Armani Resort in Marrakech and the first Armani Residences Villas in Marassi, Egypt. 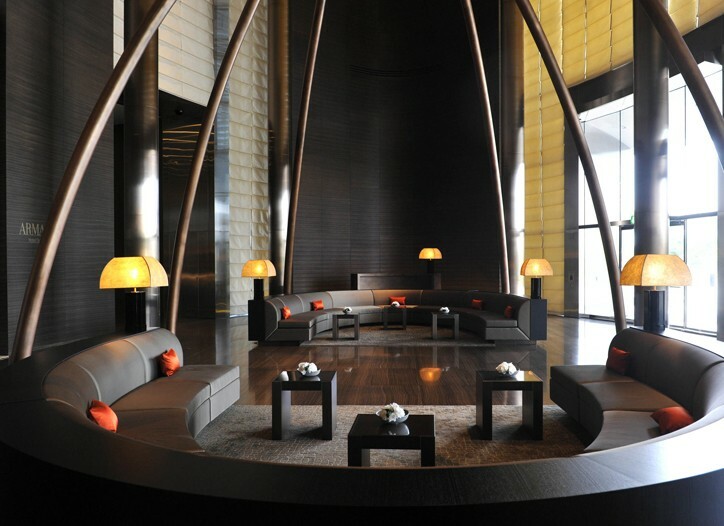 Further Armani hotels, resorts and residences will open in key markets such as New York, Tokyo, Shanghai and London. want to be anna wintour’s assistant?